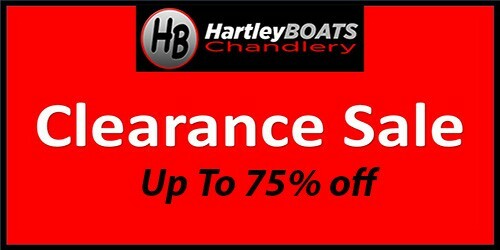 The Hartley Boat team have decided to kick start 2019 with a fantastic offer. Order a new Byte CI or CII before the 31/01/2019 for winter build we will give you a fantastic part exchange price. This means you can start sailing a brand new Byte CI or CII for as little as £4995 less your part exchange. The sleek new Byte CII is beautifully built in Derby (UK). Made from GRP using a foam sandwich construction the boat weighs only 45.5KG while retaining durability and longevity. The high boom position enables the daggerboard to be raised almost fully for easier launching and recovery. The mainsheet is sheeted from the centre of the cockpit directly to the mid-boom position so it doesn't catch on the transom which is a particular advantage, especially when gybing downwind. The cockpit is large and self drains quickly, the high boom is a distinct advantage for taller sailors. The superb fully battened 2mm laminated Mylar sail is coupled with a specially designed 2 part Hybrid mast, made from Carbon at the bottom for stiffness and from Glass fibre in the upper section to allow flexibility. The flexibility in the upper section allows the rig to automatically de-power by spilling wind from the top of the sail when the rig becomes overpowered. This specially designed rig makes the Byte CII much more manageable for lighter helms in heavy winds. The Byte CII is suitable for mid-weight sailors when racing, and can be enjoyed by one or two people for leisurely cruising. 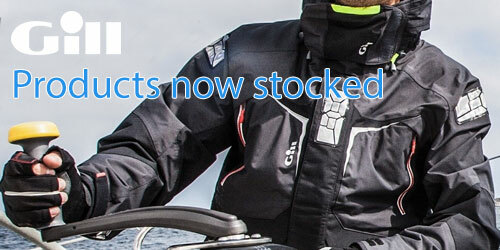 The new lightweight Byte CII takes a backache out of launching and recovery, manoeuvering the boat on the trolley or around the dinghy park is very easy. The BYTE class association is well established at both national and International level and welcomes new members young and older, a full calendar of open meetings make up the Travellers series organised by the Byte Class association www.byteclass.org.uk with regional and International championships taking place around the world. The Byte CII is an ISAF recognised class and has been selected for several major championships such as the Youth Olympic Games. Described in sailing world magazine as; " The next amazing singlehanded class. The Byte CII fulfils all of the growing needs for future Olympic hopefuls and then some. Compared to similar boats, the Byte CII was designed to fit in a weight range, not a gender or an age group, while presenting a higher learning curve for maturing and advanced sailors. The boat features a fully battened Mylar sail that delivers maximum performance while increasing durability significantly over traditional Dacron sails found on most small boats. 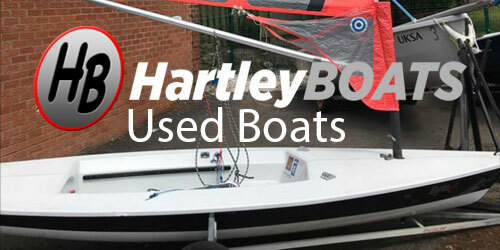 This is sure to save competitors considerable amounts of money on purchasing sails each year for the biggest regattas. The sail’s power is sustained much higher through the sail plan than boats like the Sunfish® or Laser Radial®, while rigged on a two-piece carbon fibre spar. Combining this flexible and advanced mast with a powerful Cunningham system and tunable traveller allows smaller sailors coming out of Optis to stay under control in a heavy breeze while maintaining a great deal of physicality for sailors as large as 160 lbs. Additionally, combining the boat’s light, 100 lb. frame with a sail that maintains its power so far up the mast, makes sailing downwind in big breeze more technical and challenging for even the most advanced sailors. Controls lines side mounted and can have all angle rope cleats with continuous lines.